Previously parents could access school-related information such as assignments, grades, school calendar and events online via the school website. With the tremendous growth in the use of mobile devices and applications, schools can communicate directly with most students and parents can on these devices. Parents can view the student attendance data from the app and be notified immediately regarding absenteeism or truancy. 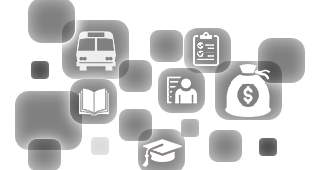 Student and their parents can view details of fee payments and be notified of due payments straight from the mobile app. How are parents kept in the loop about their student's performance in homework assignments and other school activities? 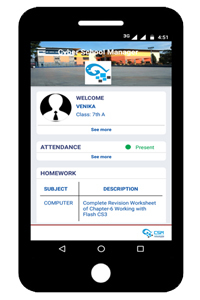 Through the mobile app, the teachers and administration can update daily performance of the student on assignments and class activities for parents to view from their mobile devices. In the past parents had to wait for their children to bring home the report cards for to see their performance in school. 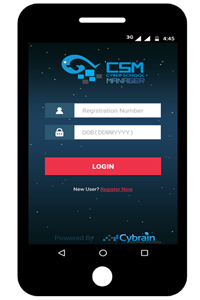 The mobile app from CSM allows the parents to simply log in and view the student grades on various classes on a daily basis. The school administration can publish all the school programs including school calendars, meetings, conferences, sports and cultural activities etc. The school administration can instantly update students and parents the latest school news such as awards for best students and teachers, school closures, delays in school transport etc. straight from the mobile app. 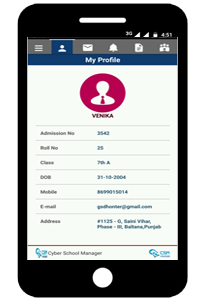 Provide all the contact details (email addresses & Phone numbers) in the app of your teachers and staff for students and parents to get in touch. Students can access library functions such book reservation, due dates for books borrowed and fines for late returns straight from the app. The engagement of parents and students in the day-to-day activities of the school is vital to the success of every institution. The mobile app will keep both students and parents well informed about every aspect of school life through various modules. Our developers will customize and brand the app to match the identity of your institution by adding the logo, photos, and color scheme. Get in touch today with us to find out more.